Drawing heavily on Lovecraftiana and myth, these are tales of devil's bargains, love songs to monsters, and the people--human and otherwise--who inhabit liminal spaces. Ghosts, gods, and ghouls make their way as best they can, one step sideways from the mortals around them. Many are connected; some are puzzle pieces that don't quite fit. 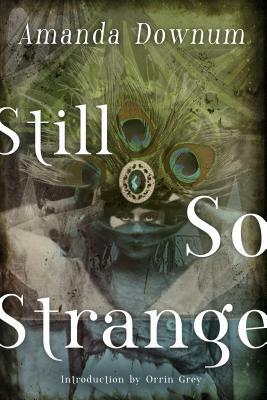 Spanning a decade of writing, Still So Strange is Amanda Downum's first collection of short fiction, and includes stories originally released in Strange Horizons, Realms of Fantasy, and Weird Tales, as well as original, unpublished work. Amanda Downum is an author of fantasy and horror based out of Austin, Texas. Her short fiction and poetry has appeared in The Mammoth Book of Cthulhu, Dreams from the Witch House, Strange Horizons, and more. Her novels include Dreams of Shreds and Tatters (Solaris) and The Necromancer Chronicles (The Drowning City, The Bone Palace, and Kingdom of Dust) from Orbit.